If there was a crystal ball that could tell you about future problems with your products and processes, what would you be willing to pay for it? Chances are you would be willing to make a substantial investment for that type of foresight. But, there is a way to get that all important glimpse into the future and it won’t break the bank! FMEAs or Failure Mode and Effects Analysis help identify potential problems with products and processes so that you can address the issues before they happen; think of an FMEA as your crystal ball. 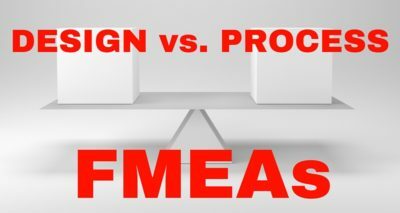 The highly structured steps to conducting an FMEA makes them far more effective than a simple brainstorming session on things that can go wrong. FMEA team members are forced to examine every aspect of the process or product and that can lead to some surprising discoveries. 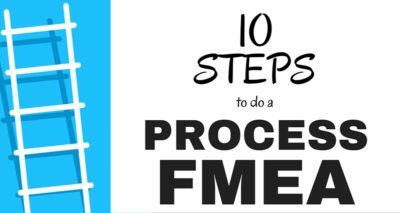 We have broken the FMEA process into 10 basic steps although they vary slightly if you are doing a Design FMEA or a Process FMEA. The payout of the structured FMEA process is the FMEA RPN or Risk Priority Number for each potential failure and effect; your crystal ball! 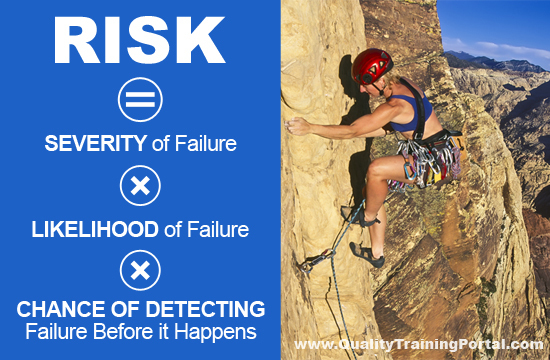 Risk is a function of the severity of a failure, the likelihood the failure will occur and the chance the failure will be detected before it occurs. A well-conducted FMEA will identify many different ways a product or process can fail and the FMEA RPNs will help determine which potential failures must (or should) be addressed and which might represent an acceptable risk. FMEAs are structured and have ten distinct steps. 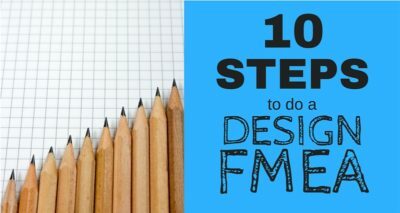 While the steps are slightly different for Design FMEAs and Process FMEAS, in general the 10 steps are the same. While the RPN can give you that crystal ball, if you don’t do anything with the information, then you didn’t really need that look into the future anyway. 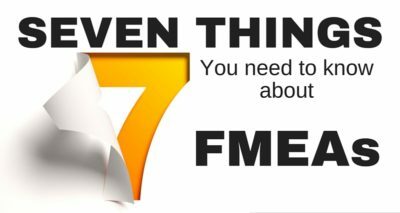 So, the most important thing with and FMEA is that you take action to reduce the biggest risks. Then you will have truly improved the process!